SAN FRANCISCO, June 19, 2018 /PRNewswire/ -- 3Scan, Inc. (3Scan), Inc. the San Francisco-based 3D tissue data platform, today announced an agreement to collaborate with The University of Pittsburgh Medical Center (UPMC) on developing a comprehensive catalogue of human tissue information. "The collaboration between 3Scan and UPMC is a unique effort to visualize the 3D structure of a variety of tissues and disease processes", according to Dr. Rajiv Dhir, Vice Chair of Pathology at UPMC. He continued, "This knowledge will help compare the architecture of normal and diseased tissues, it will finally lead to a better understanding of the interplay between the different tissue compartments (diseased and normal; epithelial, mesenchymal, inflammatory) and will hopefully provide insights leading to better diagnostic modalities and therapeutic interventions". Dr. Navid Farahani, Chief Medical Information Officer at 3Scan stated that "This marks the beginning of a momentous collaboration which aims to validate centuries of anatomical and histopathologic understandings of tissue, a feat that is long overdue. 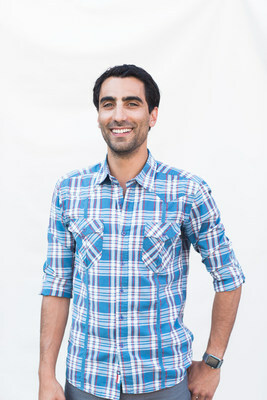 Dr. Farahani went on to say "By mapping intrinsically three-dimensional biologic structures using volumetric techniques, we are bound to further our understanding of subtle and gradual cellular phenotypic changes along anatomical axes. Inevitably, we will discover novel signatures of both normal and abnormal tissues. "